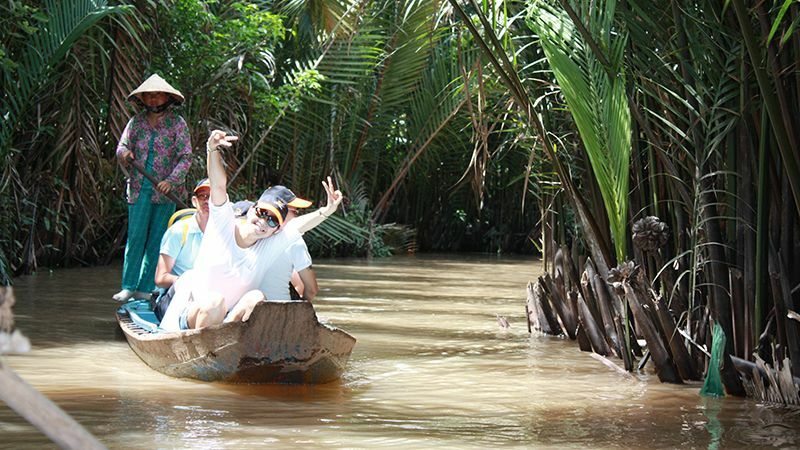 For people living in Mekong Delta, their lives are attached to rivers, water. 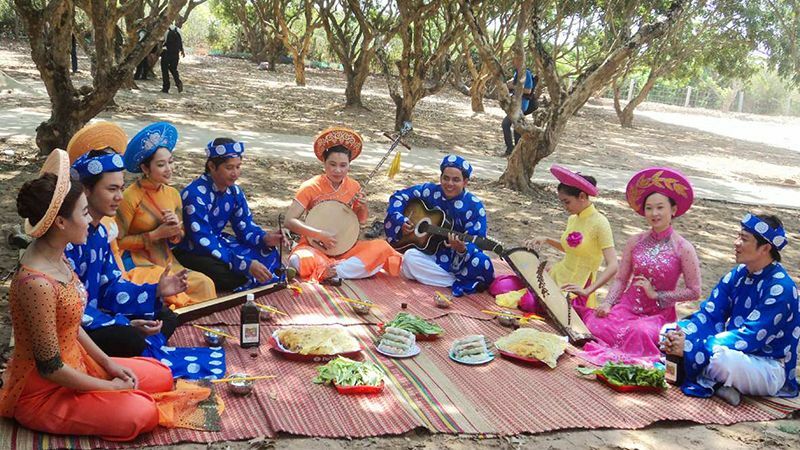 Almost activities could be organized on river as living, working, market gathering… This tour package gives you a fantastic way of seeing how the Vietnamese people get on with their busy life by cruising among the local boats coming from all areas of the delta, full of fruit. 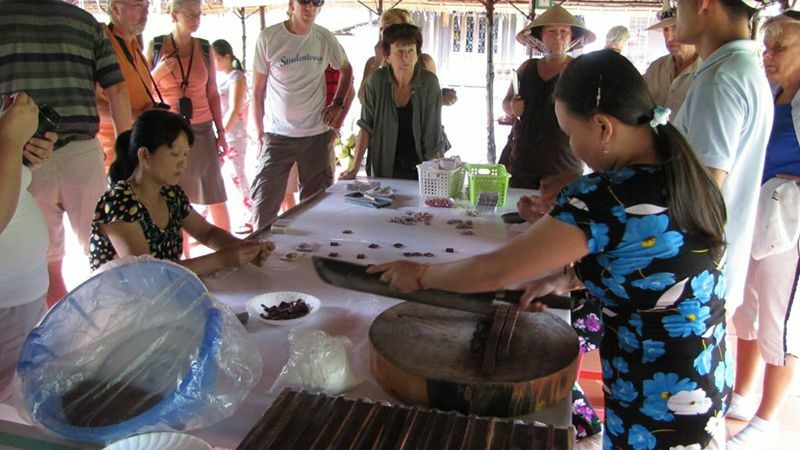 For those with just a short time, this trip provides an overview of this typical Vietnam. On the way you can see the green paddy fields stretching towards the horizon (3 hour driving). 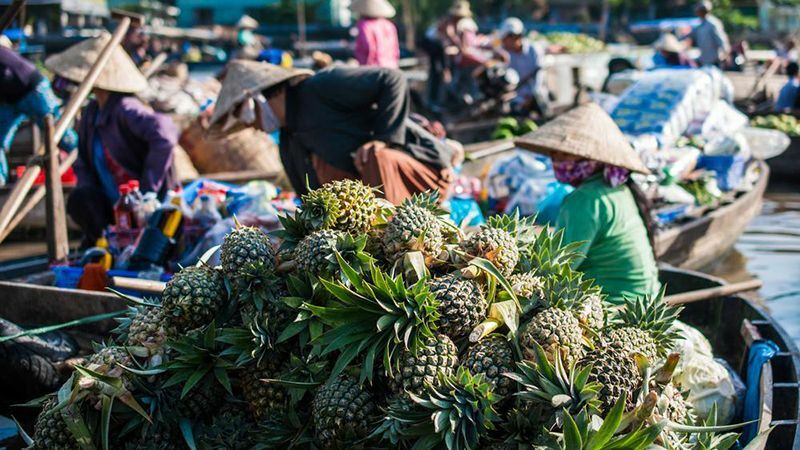 After arrival in Cai Be, we will on board for an exploration of lush vegetation of Mekong Delta and the lively floating market buyers bargaining. 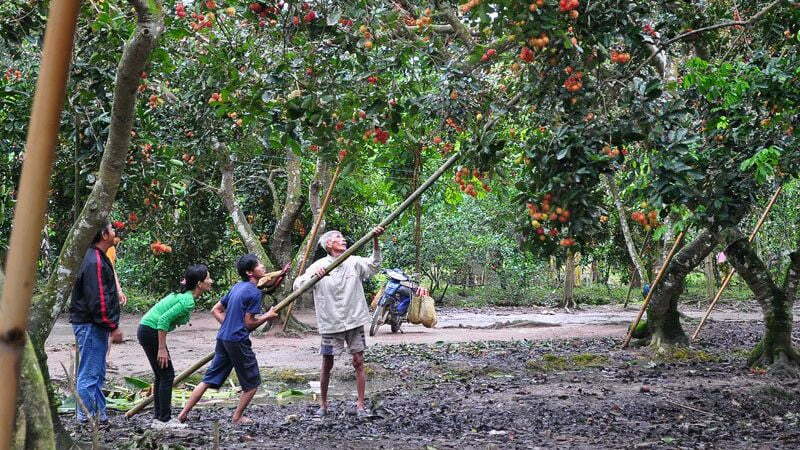 Next a rowing boat rides on the maze of shady canals to arrive at a local orchard to enjoy the local tropical fruits and visit the daily activities thehandicraft villages of local people. Break time for lunch at the orchard fruit garden. 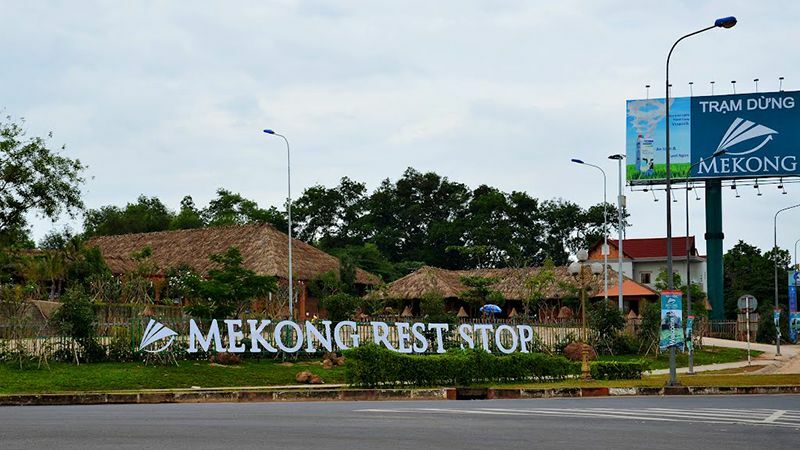 From here have a pleasant time riding bicycles to the villages, sightseeing or relaxing on the hammock. 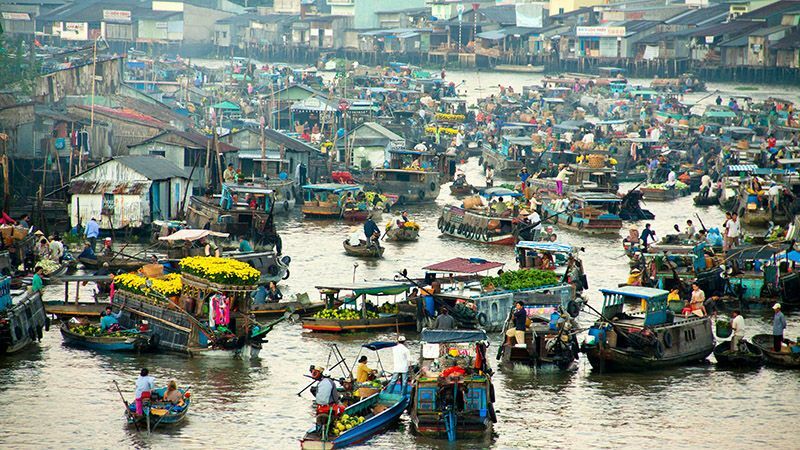 Then continue on boat to Vinh Long city for a land market, the bus will take you back to Sai Gon.